Dr Ho Chaw Sing, Managing Director of NAMIC, was among one of the thought speakers of the event. 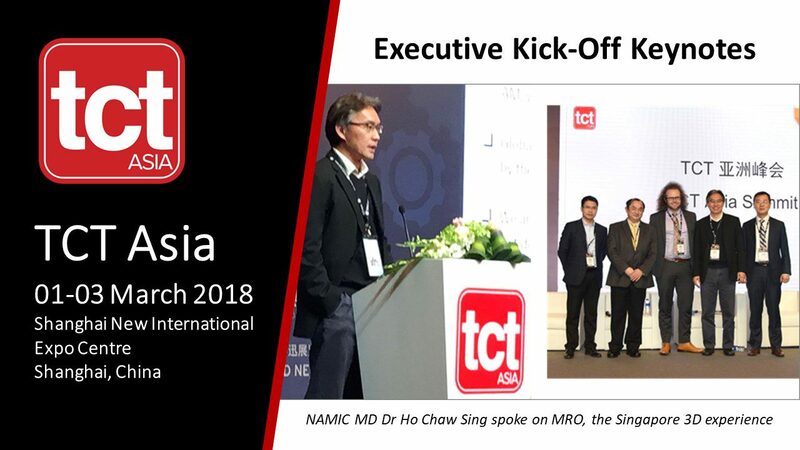 He spoke on MRO, the Singapore 3D experience and sat on the panel discussion that touched on the Roadmap in Emerging Asian Market. The session was moderated by Peter Rogers, APAC Specialist-Additive Manufacturing, Autodesk. The members were comprised of Ho Chaw Sing, Wang Lianfeng, Kang Seung-Chui and JY Jeng. The TCT Asia Summit is one of the region’s foremost 3D technology conferences. There is wide range of application-based presentations from many of 3D technology’s major user sectors from aerospace, industrial and medical.